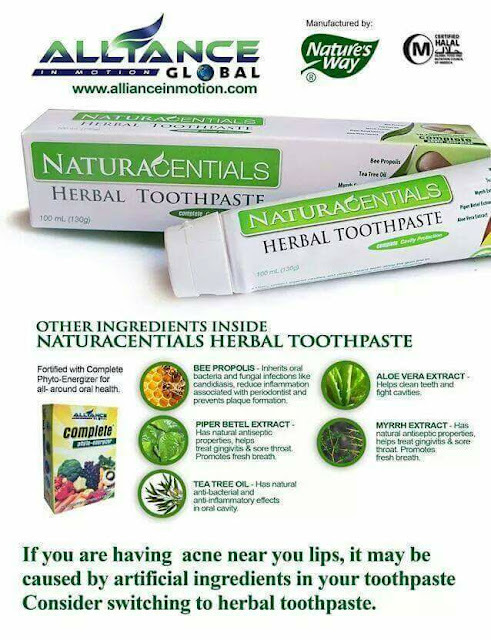 ALLIANCE IN MOTION GLOBAL INC. SOUTH KOREA: Sa HERBAL Toothpaste ka na! 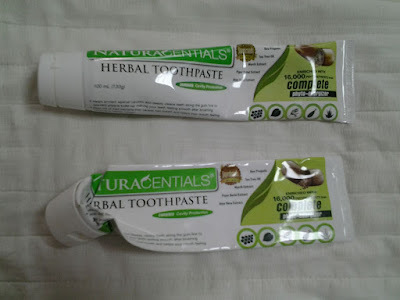 • Naturacentials Herbal Toothpaste has everything you need in your toothpaste and contains 16,000 phytonutrients from Complete Phyto-Energizer plus five potent herbal ingredients to promote excellent oral health. at ito lang ginagamit namin sa bahay..
Gusto mo rin subukan ito? Click mo lang ang ORDER NOW BUTTON!